Vitamins and minerals are necessary for maintaining a healthy body. As vitamins and minerals are needed for maintaining a healthy body, some consider the two to be the same. Well, they are purely different from each other in all aspects. The only similarity that the two have is that they are needed for maintaining a healthy body. One of the main differences between vitamins and minerals is that the former is an organic compound and the later is an inorganic compound. While Vitamins come from plants and animals, the body get the minerals from soil and water. Vitamins can be differentiated as water soluble and fat-soluble. Minerals on the other hand can be divided into macro minerals and trace minerals. Water-soluble vitamins have to be taken with water and they are not stored in the body. But fat-soluble vitamins get dissolved in the body’s fat cells and get stored. Macro minerals are those minerals that are needed in large amounts by the body. Trace minerals are needed only in small quantities. Coming to the difference in their chemical form, the minerals are much simpler than the vitamins. While all vitamins are needed for the body, all minerals are not needed. Some of the vitamins that are necessary include Vitamin, B, C, D, K and E.Â Calcium, magnesium, zinc, Iodine, sodium, copper, chromium, iron, sulphur, manganese, potassium and phosphorus are some of the minerals that are essential for the body. While cooking, vitamins are easily destroyed because of heat or chemical agents. As such one has to be more careful in preparing food and storing it. On the other hand, minerals are not vulnerable to heat, chemical reactions or sunlight. While vitamins are destructible, minerals are indestructible. Vitamins can be called as chemical compounds and minerals can be said to be chemical elements. The vitamins and minerals perform different functions in the body. For example Vitamins help in releasing energy from the food, developing red blood cells, blood clotting and is needed for the maintaining a healthy skin, eye, and hair. Minerals can help in bone and tooth formation, blood coagulation, muscle contraction and also in keeping acid-alkaline balance in blood. 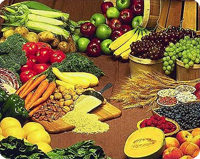 1.Â Vitamins are organic compounds and Minerals are inorganic. 2. While Vitamins come from plants and animals, minerals are got from soil and water. 3.Â In chemical form, the minerals are much simpler than the vitamins. 4. While all vitamins are needed for the body, all minerals are not needed. Prabhat S. "Difference Between Vitamins and Minerals." DifferenceBetween.net. October 18, 2009 < http://www.differencebetween.net/miscellaneous/difference-between-vitamins-and-minerals/ >.